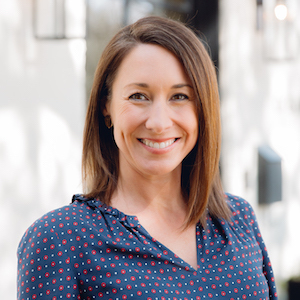 Nicole Thomas is a longtime resident of Dallas and an experienced real estate professional in the local market since 2011. Nicole understands the emotional commitment and impact buying or selling a home can have on people’s lives, and is there to ease the transition every step of the way. Whether your first home, family home, or forever home, she empathizes with clients in every stage of life and is there to make the process smooth and rewarding. A native of Tyler, TX, Nicole moved to Dallas to attend SMU where she obtained a business degree from the Cox School of Business. She has lived in University Park, Uptown, and Lake Highlands, and has a passion for all things Texas. After graduation, Nicole worked for Southwest Airlines in the Marketing Department where she learned the importance of teamwork and corporate culture. She transitioned into real estate after taking time to raise her young children and has not looked back. Nicole is known for her persistence, patience and accessibility, as well as her friendly and competitive nature. She prides herself on customer service and keeping clients informed on market trends, pre-market listings, and how to be best prepared whether they are buying or selling. Nicole is constantly looking forward in her career and values the technology and data-driven focus at Compass. She is Relocation Certified, and enjoys sharing her love of Dallas with those who are new to the area. Her experience on top-producing teams and her individual productivity have earned Nicole D Best and Lake Highlands Advocate Top Agent honors. She is a member of Park Cities Baptist Church, and likes to play tennis in her spare time at the Dallas Athletic Club. Nicole resides in East Dallas and has three children, Sam, Jack, and Clara, who keep her very busy.